I have been planning to try this burger joint for several times now, but it took me a while to actually visit because I'm having a hard time syncing my mood with this plan. 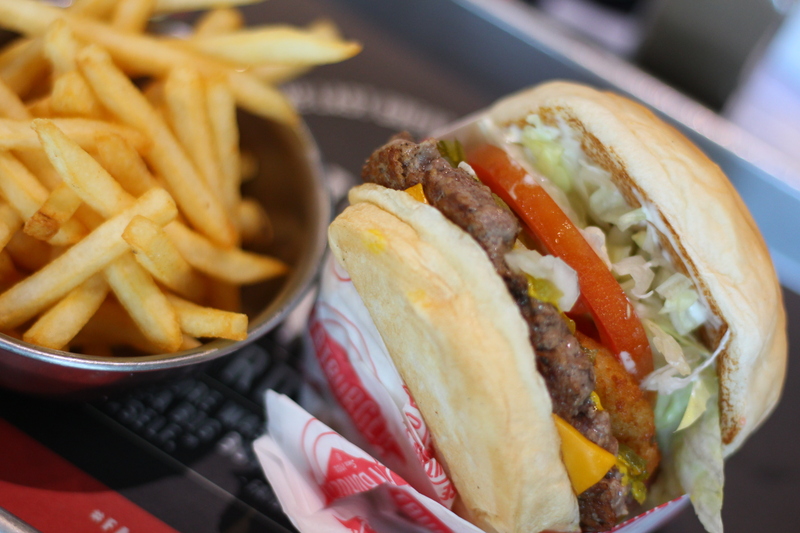 Last Sunday, I finally convinced my brain and my tummy that it's time to take a break from my burger hiatus - and so FATBurger it is! It was 12nn and the place wasn't crowded, probably because the place is really spacious and is meant to serve a lot of customers. I also loved the ambiance of the restaurant, especially the fact that it looks brighter and tidier than any regular burger joints. 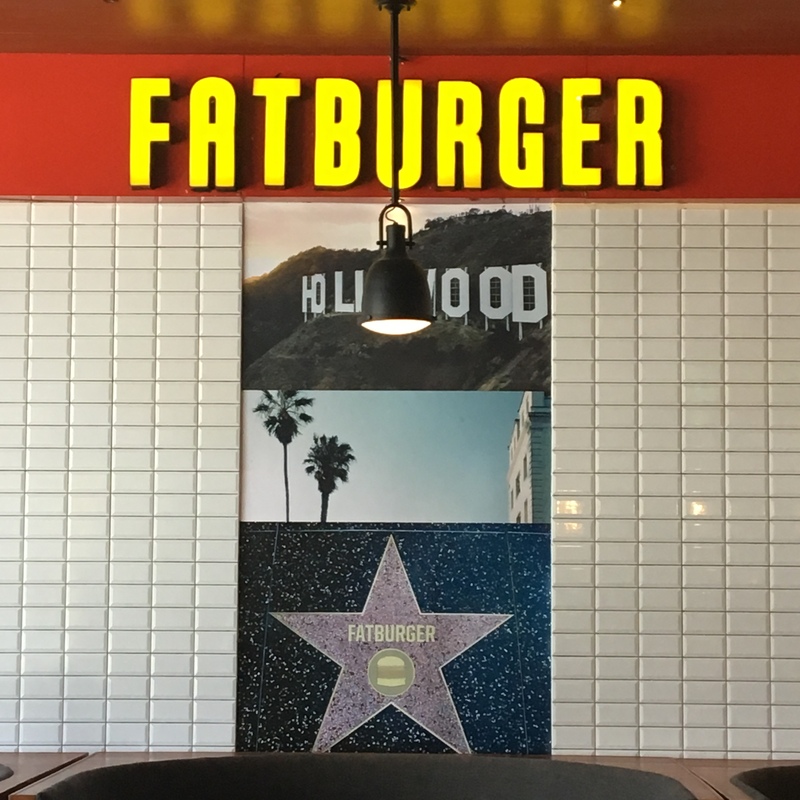 Oh, and my favorite part about their interiors is the Hollywood designed tiles underneath the bright, yellow "FATBURGER" sign. This gave me the diner feels. 10 minutes after ordering, my meal came. Half of the burger was wrapped in paper, which was really helpful, especially for someone who finds it difficult to eat a burger without the whole thing falling apart. The burger has some shredded lettuce, pickles, mustard, tomatoes, and pickled relish in between the buns. I took a bite and the first thing that came into my head is the taste of a fastfood chain's burger, I don't know why lol. Don't get me wrong, this was good. The patty was tasty and juicy, and definitely bigger than that of a fastfood chain. The onion rings and cheddar cheese that I added didn't really make much of a difference. I didn't really notice them that much. They have the fat and skinny fries, by the way. It was hard to choose between the two, so I let the staff at the counter choose for me, which led me to have the skinny fries. It was good. It had the perfect saltiness, but it was pricey for that small bowl. It is important to note, also, that the fat fries still have the potato skins in them. That's the main difference between these two fries. In the end, I'm glad to say that I enjoyed their food, even if I had just the plainest burger in their menu. I also think that their price is affordable, but only if you don't grab those add-ons. The prices of their add-ons are insane!!! 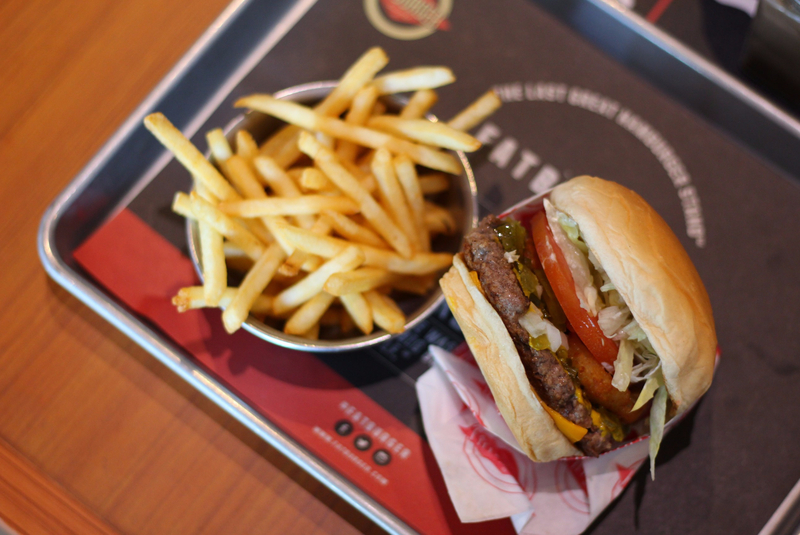 I have not yet fully accomplished my mission at FATBurger. I'll be back for their milkshake.